OST File Splitter will help you out in the situation, if your OST file has reached maximum size or the OST file is bigger than mailbox size. The splitting process can be initiated with any attribute like size, date or year from the given multiple options. 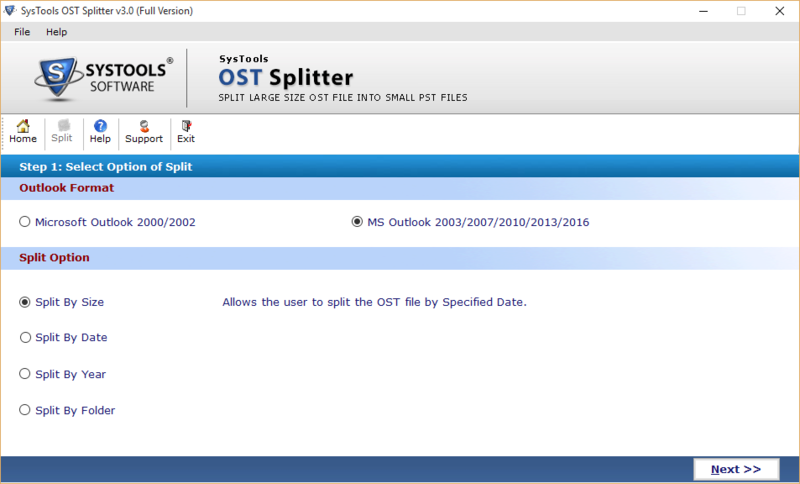 OST File Splitter allows you to split Outlook Offline data file into different small size .ost files. 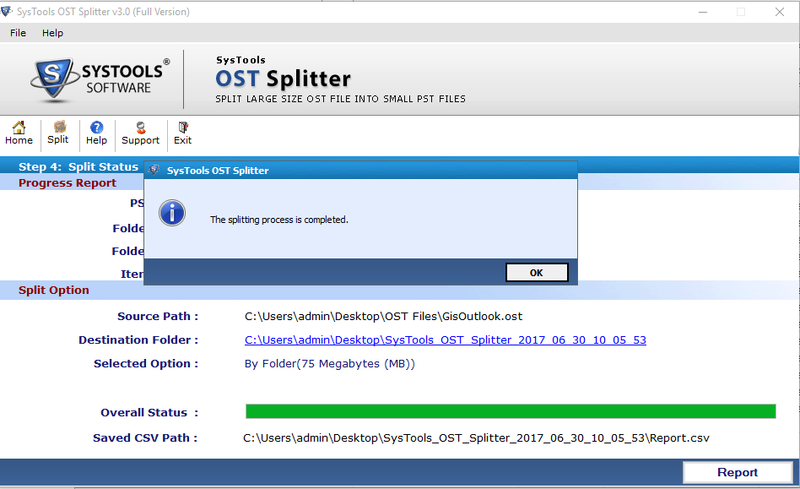 OST File Splitter will break down the OST file into small size PST files. Along with that the meta part like Cc, Bcc, to etc. remains intact. In case of the folder basis, the OST Splitter Software enriches you with the creation of a single file for each required folder present in Outlook .ost file. You can also split the archive OST file. The tool facilitates you with the option to set a size limit for your resultant file. Suppose, you have an OST file of 20GB and has set size 1GB then you will get 10 PST files each of 1GB. If you are suffering with an OST file containing data of many previous years. And you want to get the data of some particular years as per your requirement. Then you can select this option, you will get different PST files for every year. If your OST file has reached maximum size, the software allows you to truncate that OST file on the basis of date. 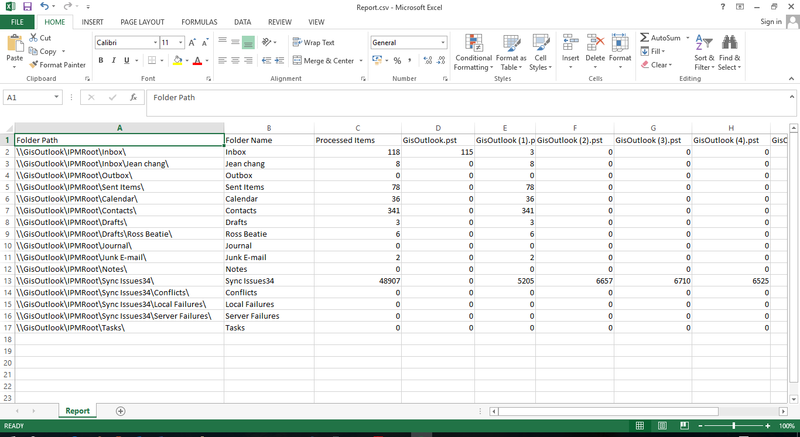 You just need to set a date on given option and you will get the data till that date in the form of separate PST files. After breaking down the .ost files, the Outlook OST file Splitter will provide the option to save the output data files to desired location. With the use of this utility, there will not be any affect on the original structure of OST file even after split. 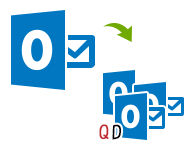 OST File: OST file (.ost) is solely related to MS Outlook. Whenever Outlook is configured with Exchange Server, then the Outlook data file stored locally is in OST file format. OST file facilitates users with the Offline access of Outlook mail accounts, It gets synchronized after getting internet connection. You will find MBOX file (without any extension) at this location on your system. -- Cannot load or open the OST file. -- Not able to add new data to OST file. -- Not able to synchronize the OST file with Exchange Server. -- Various errors during the synchronization process. 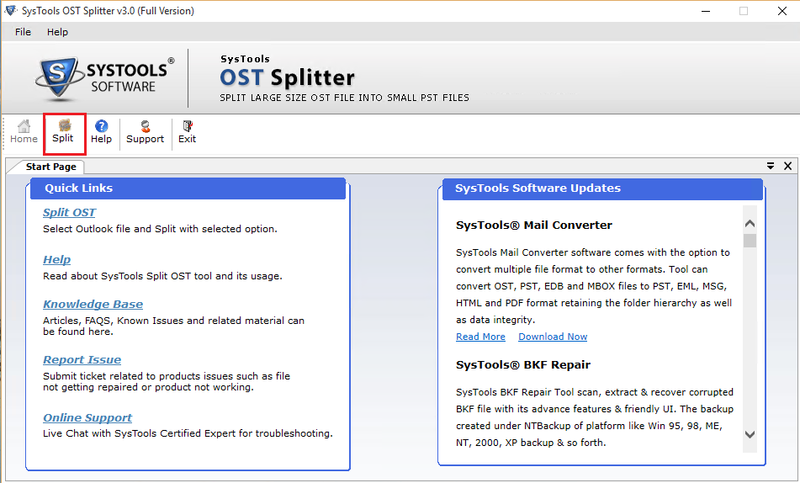 Free OST File Splitter tool only import first 50 items of the OST file. Step 1: Install the software after downloading. Start the tool from Start >> All program >> OST File Splitter. Click on Split. Step 2: You will find multiple options to select. You can choose any one as per your requirement. Step 3: You will receive the notification after the completion of process. Step 4: The report for whole process will be visible. Is the software limited with the OST file split of any particular Exchange version? No, there is not any limitation, you can split older OST file on the basis of date as well as year. Is there any file size limit for OST file? No, You can split OST file of any size. I was getting so many errors while accessing my OST file due to its large size. I was unable to find any way to short down that OST file. Finally, after the discussion with my friends I opted for QuickData OST File Splitter. They suggested me this utility and it was really amazing with great performance and easy to use interface. I am very thankful to the support team, assisted me whenever needed. A big thanks for developing such a great utility with perfect support.